Graphic Explosions strives to make our customers’ promotional efforts as easy and successful as possible. We've accomplished this, in part, by offering extensive printing services that dovetail seamlessly with our graphic design services. Our ultimate goal is to provide exceptional quality printing that projects our customers in the best possible light. Printed material is often the first thing prospective clients see, and we know that first impressions are so important. Let us help you make that first impression a memorable one. 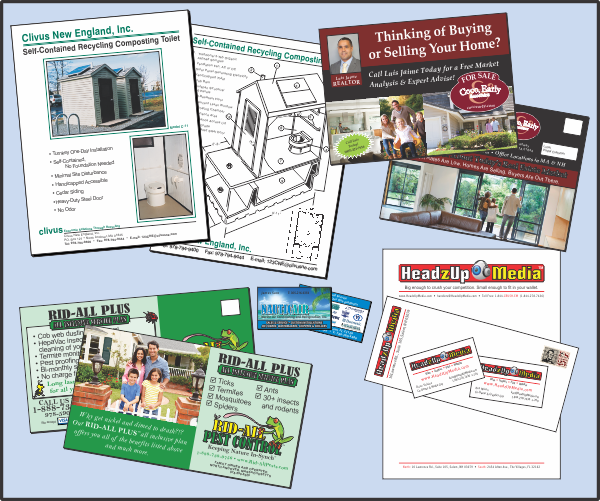 We print most everything from business cards and stationery to brochures and sales sheets. Please ask; we probably print it. noun. 1. the art, process, or business of producing books, newspapers, etc., by impression from movable types, plates, etc. 2. the act of a person or thing that prints. 3. printed material.